Essentials of Comparative Politics. 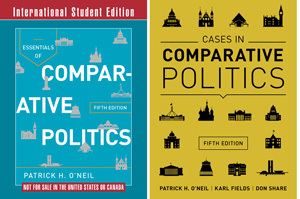 Fifth International Student Edition, with Cases in Comparative Politics, Fifth Edition - Description | W. W. Norton & Company Ltd.
A seamless integration of the best-selling conceptual text and casebook. The most accessible conceptual text. The most comprehensive, consistent casebook.